Ok, ok, we know at this point you're craving the sage greens, buttery yellows, and honeysuckle pinks of spring but, unfortunately, winter will linger around a little while longer here in the northeast. Lately we've been focusing on the white wedding thing a lot, but what with all this snow and frigid weather we just cannot help ourselves. 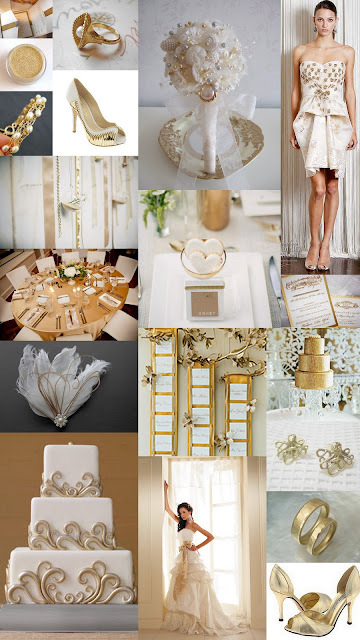 Embrace your inner snow queen with this elegant, modern board featuring crisp white and enough metallic gold make Midas swoon.